Every business has vital information that it cannot afford to lose. Disasters can strike and affect your computers leading to loss of data. Unfortunately, more than 50% of both medium and small businesses do not have the right back up. But they are not aware of the looming danger. No one when an emergency can strike, even an accident can lead to business problems. That’s why a reliable data backup is vital. Backup refers to the process of storing data in another separate medium and not just in the primary storage. This helps you recover data in case the primary hardware fails or is stolen. The most significant benefit of data backup and recovery services is increased reliability. Remote backup is done in different ways. Some update daily while others have scheduled time for updating. This backup is done on the internet and allows you to recover the files you want any time. A company that chooses to do full backup means they will ensure all information in the computer including installed applications and the operating systems. Another option is a partial backup where you request the folders and files you want to back up. It makes the whole process of data recovery quick and easy. While in some cases downtime is inevitable, managed back up services help you avoid it. Lengthy amounts of slow or no business affect your reputation and can hinder your chances of succeeding in your field. With a backup plan, your business is protected, and you can enjoy some peace of mind. In the last decade, many businesses have gone paperless. The changes in technology have transformed how businesses operate. Most companies store their documents on computers, but it’s risky. Equipment can fail; viruses and ransomware can attack computers. Even power hitches can damage hard drives leading to loss of data without proper backup, you have to explain to customers why services are interrupted and you lose opportunities to make sales. This is why you need backup and recovery services from experts who know how to do it. If you want to back up your data and feeling apprehensive about doing it yourself, get help from an IT company offering these services. This ensures the work is done professionally and your data is safe. The backup is done remotely and it simplifies the process of securing the data. Once it is set up, everything else done automatically. Knowing your company’s data is safely stored gives you peace of mind and you feel secure. The best way is to have the data updated every day and at a specific time. You can rest easy and concentrate on other activities knowing all your vital data is accessible in case your computers and IT system go down. The encryption tools are used on software and hardware and protect your data from being viewed by unwarranted parties. Some things cannot be done to perfection manually. 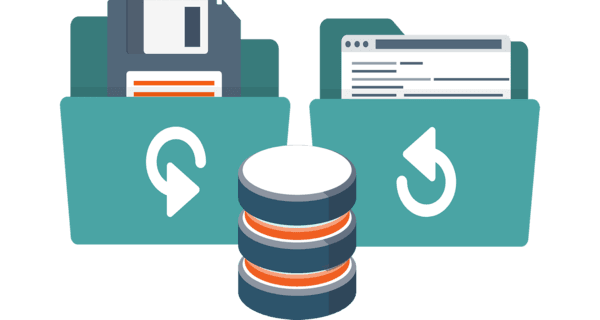 Data versioning must be done error free and that’s why you should hire a data backup company to help you preserve sequential versions of your essential data. You get real value when working with correctly backed up folders and file. Everything is intact and no typing errors that can change the original meaning of the data with the help of a data recovery service provider. Buying backup media for your business is definitely expensive and still need to be maintained and upgraded once in a while. This means you spend time operating the drives and backup systems instead of working in other areas of your business. By outsourcing these services, you save bucks and time, which will translate into increased income with time. Your critical files are encrypted before being transferred to the offsite data center for backup. They are protected, and the IT company works for you to ensure all files are backed up and safely transferred. When outsourcing backup services, your internal IT team can focus on other tasks and be become productive. Apart from securing your company’s data, a data backup and recovery service provider allows your employees to work fast and efficiently. The safety of business data is well taken care of, and so your workers only have to concentrate on their work. The leading causes of data loss in a company are the same in almost every business. Some people believe that once they save their data in a computer, it’s safe and can always access it. It is essential to have your data backed up because data loss is unpredictable. Below are some of the factors that affect the security of your data and lead to permanent damage. Accidental deletion is one of the common causes of data loss. Anyone who uses paperless technology can admit having lost or corrupted their valuable data by mistake at one time. It is important to load or sync large data onto different platforms. However, the uploading process can encounter problems leading in data loss or corruption. It is possible for a business to have a disgruntled worker who may decide to perform a massive data deletion. By the time a company discovers that the data is missing, it is likely to take time and without backup, such data is never recovered. As you can see above, data backup and recovery services will impact your business in different ways. Find a company with a good reputation so that you can be sure they will help you recover your data in case of a disaster. An excellent service provider will keep your files and restore them fast when needed to do so. Take advantage of advanced technology and your business will benefit in numerous ways. Duncan Kingori, on behalf of Ottomatik has been in the writing profession for a decade now. He has great experience writing informative articles and his work has been appreciated and published in many popular publications. His education background in communication and public relations has given him a concrete base from which to approach different topics in various niches.